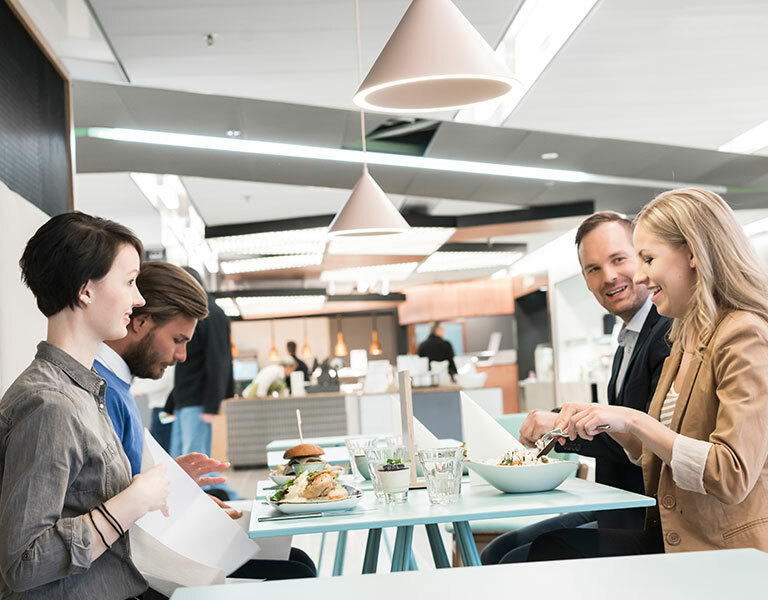 The ground floor of the Trio building is now home to an almost 1,000 m² food court and café with a wide variety of options to suit different tastes. Restaurant Kirjo contains four service points: the reliable Artisan with focus on seasonal ingredients, the fresh Salad, the delicious Grill n’Wok and the no-frills Skandi. Grab a quick bite or take your time and enjoy – eat here or take away! Café Park provides a living room for everyone in Spektri from breakfast until late in the afternoon. Get a breakfast, a snack or a delicious special coffee during the day or enjoy an after-work drink on the terrace. Café Park also has a nice selection of takeaway products. You can book the meeting rooms of the Trio building and catering services at restaurant Kirjo. Kirjo’s restaurant hall can be reserved for various kinds of events.